Although our good friends Glenrothes Anchor Sheds are there with their horrific SEO butchery, it’s basically a location copy and paste job from Wikipedia?! I shed you not. Shame on you Anchor. SHAME. Anchor has been disqualified from this geographical blog for shed builders IN Dundee. They are however already included in the Garden Sheds Fife review. Anyway – enough about Anchor. Oh but what do we have here? Forestmuir, sweetheart… I don’t think they’re your words now are they? No, it’s not Forestmuir – those are my words, silly. Now – where was I? Oh aye, prices. Looks as though Forestmuir are struggling on that front too. Shedload of Gillies and Mackay copy in the price list. Including the Terms and Conditions which appears to be a direct copy and paste job. I cannae take these guys seriously especially when the most important thing to copy would be the G&M specification but alas Forestmuir ‘saw’ short on that one. Basic – is exactly that. Deluxe – upgrades the framing which is awfy nice of them to do, but shed knows why? It’s not going to stop the driving rain ingressing straight through the 12mm. Superior – Cladding upgrade. Aye why not. But what is it? A Superior 8’ x 6’ will cost you £655.00 and it includes the VAT, delivery and assembly within 20 miles of their premises. For the love of wood in your garden… I give you our Glencarse neighbours, Wood N Garden. Wood N Garden is another TGB outlet. Nothing too fancy to report here. Wood N Garden’s website is a classic mash of 90’s web development and far too much going on. TGB’s site is much cleaner and easier to use so you may prefer to go there for a better understanding. They do however boast highly of their 52 display models. A must see before you buy. They also have an ex-display sale on November 1st (or around that day) which means you could snap up a real shedtastic deal. Wood N Garden offer an 8’ x 6’ Shed in a couple of different specs with options to upgrade. Although I’m not keen on the website as a whole, this page I do like. I like how they show you the inside of the shed and the different orientations possible. They also have an extensive list of options, so you can decide on the specification level. 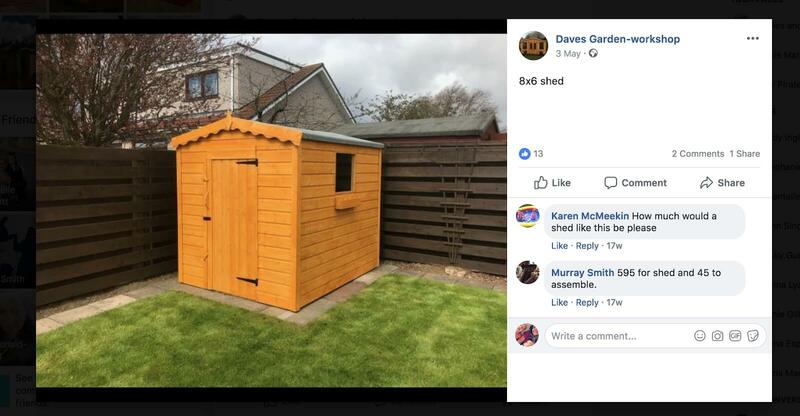 I’m not a big believer in this, given that the majority of people buy sheds because they do not want to build one themselves and therefore are not inclined to know the best spec for use. I’d like more companies to take confidence in their specification and offer it as standard. 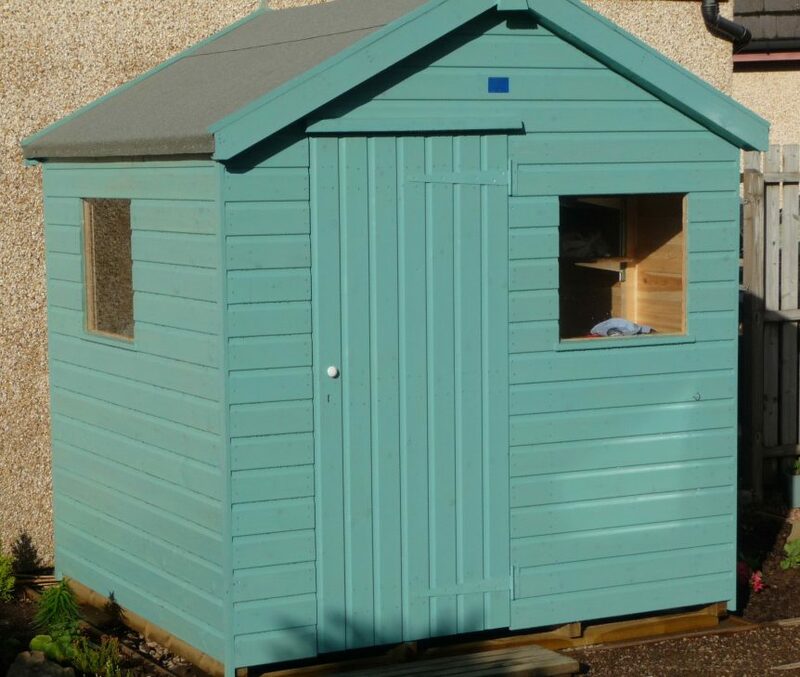 The 8’ x 6’ Shed works out at £915.60 if you opt for the optional upgrades. 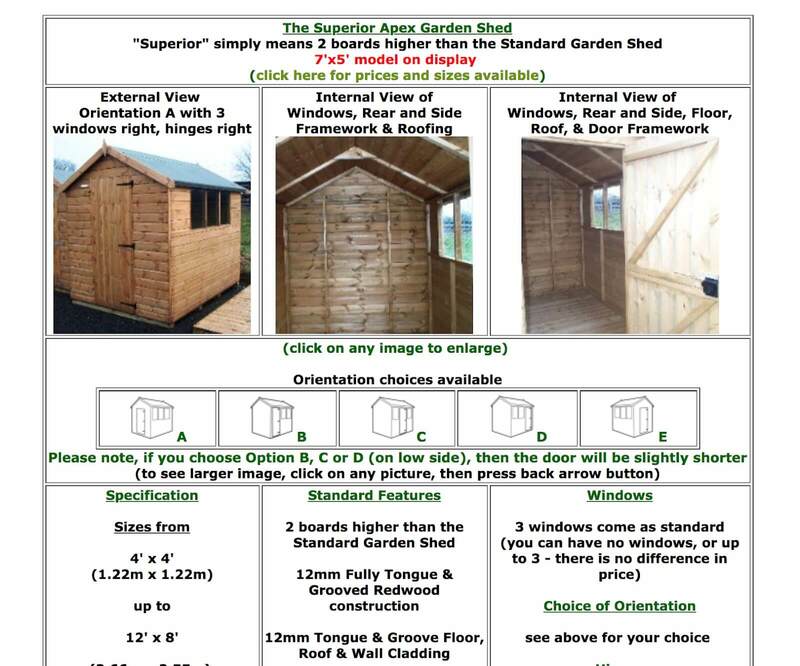 All in all, Wood N Garden are fairly straightforward shed wholesalers. Honest in their approach and traditional in their service. They don’t do social media but there are a couple of reviews on Google, which are all highly recommended. 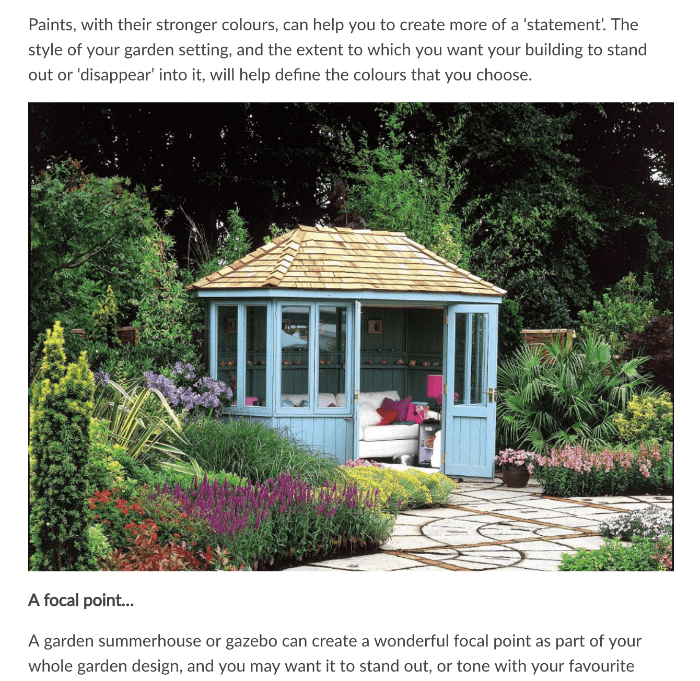 Okay, Dave’s Garden Workshop – it’s an independent shed making company which always favours well in my book. However, I’m struggling to find out what timber they actually use and how much the sheds actually cost. It’s 2018 Dave. No one’s interested in calling for a quote because no one wants to speak to a sales person. They just want to make their own educated buying decision without having the wool pulled over their eyes. Well, we don’t know what they’re getting because you don’t tell us. We need to see what specification you’re using and we definitely want to see how much it costs. How much does an 8’ x 6’ Shed cost? £595.00 + £45.00 for assembly. Spot on. I reckon this is a decent price too for what you’re getting. It looks like VacVac treated whitewood and from the other pictures I’ve seen the framing looks like either 75mm x 35mm or 50mm x 50mm pressure treated, so all in all not bad for £595.00. Not exactly my most positive review ever… BUT at least there are some good points. Forestmuir, sort your Shed out eh? 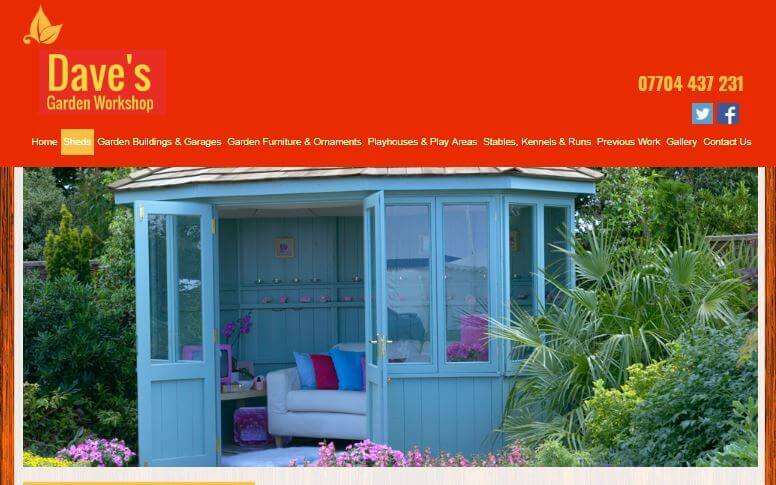 Wood N Garden doing a great job as wholesalers – could do with a website upgrade. Dave’s Garden Workshop – still a fair bit to be done when it comes to giving your customers the right information.